This Persian style is typical throughout several centuries, though I’ve based my design largely on images from around the 15th century. 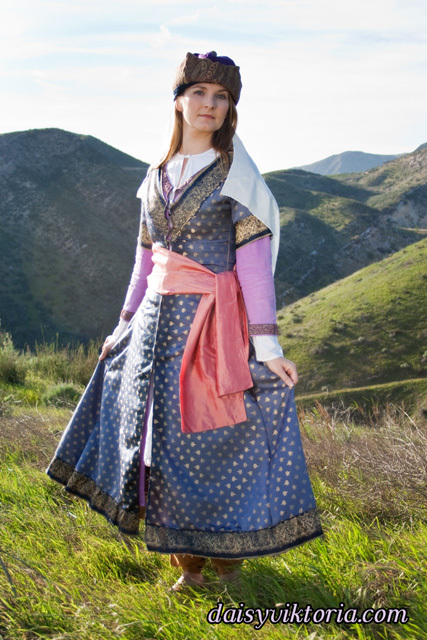 The outer purple layer is made of blue brocade, the next layer is purple linen, and the underdress is white linen. The pants are hand-dyed raw silk with buttons at the cuffs. The sash is also silk. The hat is made of wool and brocade.